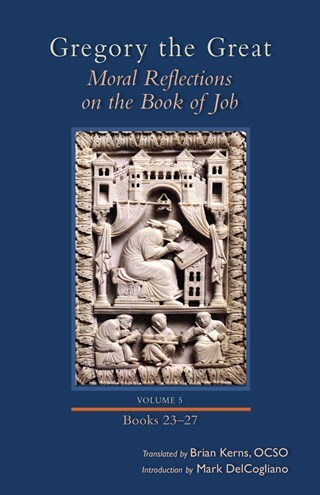 This fifth volume, containing books 23 through 27, provides commentary on six chapters of Job, from 32:1 through 37:24. The present volume covers the chapters of Job devoted to Elihu, the young man who derides the three friends who couldn't find an answer to Job. For the most part Gregory confines himself, with a few exceptions, to the allegorical moral exegesis, making Elihu a symbol of the arrogant person (sometimes the heretic, and sometimes the unworthy member of the church), and Job a type either of the church herself or of the holy preachers of sound doctrine. Br. Brian Kerns has been a Trappist for sixty years, seventeen years at the Abbey of Gethsemani in Kentucky, and the rest at the Abbey of the Genesee in upper New York state, interrupted by a year at Oxford, North Carolina, and five years at Genesee's foundation of Novo Mundo in Parana, Brazil. He hails originally from Pottsville, in the anthracite coal region of Pennsylvania. For many years he worked in the library at Genesee and Novo Mundo, and he has interested himself in various translation projects, among which is the life of Dom Gabriel Sortais, abbot general of the Trappists in the early 1960s. That volume has also been published by Cistercian Publications, in the Monastic Wisdom series. The first four volumes of his translation of Gregory the Great's Moral Reflections on the Book of Job were published by Cistercian Publications between 2014 and 2017.